Libraries often display exhibits inside and outside the structures, as this sculpture of a little girl reading at the public library in Trinidad, Colorado. បណ្ណាល័យជាតិ គឺជាបណ្ណាល័យមួយប្រភេទដែលសាធារណជនទូទៅអាចចូលទៅប្រើប្រាស់បាន ហើយជាទូទៅត្រូវបានគាំទ្រផ្នែកហរិញ្ញាវត្ថុដោយប្រភពសាធារណៈ (ដូចជាថវិកាពីពន្ធ) និងស្ថិតក្រោមការគ្រប់គ្រងដោយ civil servants ។ There are five fundamental characteristics shared by public libraries. The first is that they are generally supported by taxes (usually local, though any level of government can and may contribute); they are governed by a board to serve the public interest; they are open to all and every community member can access the collection; they are entirely voluntary in that no one is ever forced to use the services provided; and public libraries provide basic services without charge. Public libraries exist in many countries across the world and are often considered an essential part of having an educated and literate population. Public libraries are distinct from research libraries, school libraries, and other special libraries in that their mandate is to serve the general public's information needs (rather than the needs of a particular school, institution, or research population). Public Libraries also provide free services such as preschool story times to encourage early literacy, quiet study and work areas for students and professionals, or book clubs to encourage appreciation of literature in adults. 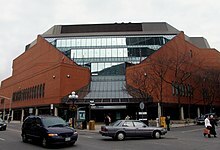 Public libraries typically allow users to take books and other materials off the premises temporarily; they also have non-circulating reference collections and provide computer and Internet access to patrons. In addition to print books and periodicals, most public libraries today have a wide array of other media including audiobooks, e-books, CDs, cassettes, videotapes, DVDs, and video games, as well as facilities to access the Internet and inter-library loans (borrowing items from other libraries). Readers' advisory is a fundamental public library service that involves suggesting fiction and nonfiction titles (often called "readalikes"). Public libraries may also provide other services, such as community meeting rooms, storytelling sessions for infants, toddlers, preschool children, or after-school programs, all with an intention of developing early literacy skills and a love of books. In person and on-line programs for reader development, language learning, homework help, free lectures and cultural performances, and other community service programs are common offerings. One of the most popular programs offered in public libraries are summer reading programs for children, families, and adults. In rural areas, the local public library may have, in addition to its main branch, a mobile library service, consisting of one or more buses furnished as a small public library, serving the countryside according to a regular schedule. Public libraries also provide materials for children, often housed in a special section. Child oriented websites with on-line educational games and programs specifically designed for younger library users are becoming increasingly popular. Services may be provided for other groups, such as large print or Braille materials, Books on tape, young adult literature and other materials for teenagers, or materials in other than the national language (in foreign languages). California and Nevada now offer a new service called Link+. This new program links county libraries across the two states, allowing patrons access to books their library may not have in their collection. Librarians at most public libraries provide reference and research help to the general public, usually at a reference desk but can often be done by telephone interview. As online discussion and social networking allow for remote access, reference is becoming available virtually through the use of the Internet and e-mail. Depending on the size of the library, there may be more than one desk; at some smaller libraries all transactions may occur at one desk, while large urban public libraries may employ subject-specialist librarians with the ability to staff multiple reference or information desks to answer queries about particular topics at any time during regular operating hours. Often the children's section in a public library has its own reference desk. Public libraries are also increasingly making use of web 2.0 services, including the use of online social networks by libraries. Public libraries in some countries pay authors when their books are borrowed from libraries. These are known as Public Lending Right program. As more commercial and governmental services are being provided online (e-commerce and e-government), public libraries increasingly provide Internet access for users who otherwise would not be able to connect to these services. Part of the Public Library mission has become attempting to help bridge the digital divide. A study conducted in 2006 found that "72.5 percent of library branches report that they are the only provider of free public computer and Internet access in their communities". A 2008 study found that "100 percent of rural, high poverty outlets provide public Internet access, a significant increase from 85.7 percent last year". The American Library Association (ALA), addresses this role of libraries as part of "access to information" and "equity of access"; part of the profession's ethical commitment that "no one should be denied information because he or she cannot afford the cost of a book or periodical, have access to the internet or information in any of its various formats." In addition to access, many public libraries offer training and support to computer users. Once access has been achieved, there still remains a large gap in people's online abilities and skills. For many communities, the public library is the only agency offering free computer classes and information technology learning. As of 2008, 73.4 percent of public libraries offered information technology training of some form, including information literacy skills and homework assignment help. A significant service provided by public libraries is assisting people with e-government access and use of federal, state and local government information, forms and services. Internationally, public libraries offer information and communication technology (ICT) services, giving "access to information and knowledge" the "highest priority." While different countries and areas of the world have their own requirements, general services offered include free connection to the Internet, training in using the Internet, and relevant content in appropriate languages. In addition to typical public library financing, non-governmental organizations (NGOs) and business fund services that assist public libraries in combating the digital divide. "It was in these years of class conflict and economic terror that the public library movement swept through Britain, as the nation's progressive elite recognized that the light of cultural and intellectual energy was lacking in the lives of commoners". Libraries had often been started with a donation, an endowment or were bequeathed to various, parishes, churches, schools or towns, and these social and institutional libraries formed the base of many academic and public library collections of today. Andrew Carnegie had the biggest influence in financing libraries in the United States of America, from the east to west coast. From just 1900 to 1917, almost 1,700 libraries were constructed by Carnegie's foundation, insisting that local communities first guarantee tax support of each library built. Many claims have been made for the title of "first public library" for various libraries in various countries, with at least some of the confusion arising from differing interpretations of what should be considered a true "public library". Difficulties in establishing what policies were in effect at different times in the history of particular libraries also add to the confusion. The first libraries open to the public were the collections of Greek and Latin scrolls which were available in the dry sections of the many buildings that made up the huge Roman baths of the Roman empire. However, they were not lending libraries. The "halls of science" run by different Islamic sects in many cities of North Africa and the Middle East in the 9th century were open to the public. Some of them had written lending policies, but they were very restrictive. Most patrons were expected to consult the books on site. The later European university libraries were not open to the general public, but accessible by scholars. ↑ Rubin, Richard E. Foundations of Library and Information Science (3rd ed). 2010. Neal-Schuman Publishers: New York. ↑ Haavisto, T. (2006). Libraries and the WSIS action lines: Guideline for international, regional and local advocacy for libraries in relation with implantation of the WSIS by action line 2005-2015. [Update. Mincio, D. (2007)] [Electronic Version]. Page 2. International Federation of Library Associations and Institutions and World Summit on the Information Society: Geneva 2003 – Tunis 2005. Retrieved July 15, 2009, from http://www.ifla.org/files/wsis/Documents/libraries-and-the-wsis-action-lines-en.pdf. ↑ Bill & Melinda Gates Foundation (2009). Global Libraries: Opening a World of Information and Opportunities. Retrieved July 15, 2009, from http://www.gatesfoundation.org/libraries/Pages/global-libraries-projects-update.aspx. ↑ Matthew. Library: An Unquiet History. New York, N.Y.: Norton, 2004, p. 135. ↑ Bill, Katz. Dahl's History Of The Book, No. 2. Metuchen, N.J.: Scarecrow Press, 1995, p. 238. ↑ Raven, James. "Libraries for sociability: the advance of subscription library." The Cambridge History Of Libraries In Britain And Ireland. 3 vols. New York: Cambridge University Press, 2006, p. 251-253. Jones, Barbara M., "Libraries, Access, and Intellectual Freedom", American Library Association, 1999. McCook, Kathleen de la Peña (2011), Introduction to Public Librarianship, 2nd ed. New York, Neal-Schuman. Minow, Mary; Lipinski, Tomas A., "The Library's Legal Answer Book", American Library Association, 2003.